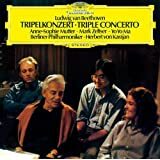 To settle the dispute over dating this CD, the three overtures were taken from much earlier sessions (1965-70) to fill out the 1980 Triple Concerto. 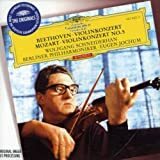 Karajan led a blockbuster version of this work with the incomparable trio of Richter, Oistrakh, and Rostropovich (on EMI), so it was an audacious move to try and repeat the feat. He was wise to spotlight three young soloists rather than grand lions. Yo-Yo Ma and Anne-Sophie Mutter went on to great fame, of course, and they overshadow the now-forgotten Mark Zeltser, but he's light, bright, and sparkling, as is the performance as a whole. (Strangely, however, Ma has some intonation problems that mar the first movement.) Karajan lightens his accompaniment from the earlier version and takes faster tempi. 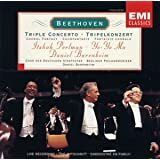 I've heard other readings with a more heroic trio of soloists, but the presence of a great Beethoven conductor and the wonderful Berlin Phil. is a major asset here. I'm a bit less happy with the three overtures. All are played on a grand scale, particularly the earth-shattering Egmont, which comes off best. The Coriolan sounds majestic but feels emotionally inert to me, with Karajan attempting to prettify the great development section, and the Fidelio Over. is rather too grand and foursquare. All are magnificently played, needless to say. I am giving five stars to the Triple Concerto and perhaps the Egmont Over. in a pinch. 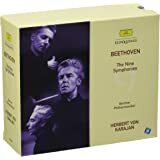 5つ星のうち5.0Beethoven Triple with Karajan: old giants from the Soviet Union or the younger generation? 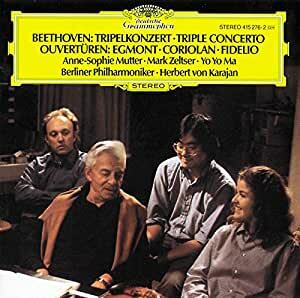 This is Karajan's 2nd recording of the Beethoven Triple. The first was made with David Oistrakh, Mstislav Rostropovich and Stanislav Richter. Without taking a thing away from that earlier recording that Karajan made with those musical giants from the Soviet Union, I think that the one Karajan made with this younger generation of musicians sounds more fresh and vibrant. Young Anne-Sophie Mutter and young Yo-Yo Ma are effervescent while pianist Mark Zeltser provides just the right amount of support. 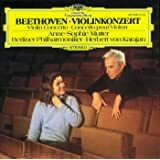 Being a Beethoven lover I must say Herbert von Karajan did the best when conducting Beethoven. Even the other artists as Mutter, Zeitser and Ma did an outstanding performance. 5つ星のうち5.0Superb performance and sound quality makes this a benchmark. Eager and viscerally played in a vivid sound that seems to jump out of the speakers. This is a last blow (1980) for analogue, transistor (they finally sorted them out soundwise) based, and WOW! - looking for the LP which in a German pressing must be heaven on earth. DG 1980s analogue pre digital records will become collectible. But even in CD form grab this silver disc with both hands. 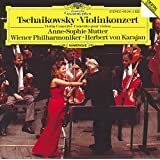 One of Karajan's more successful late recordings and erases memories of his previous outing with three by the name of Oistrakh, Rostropovich and Richter on EMI. 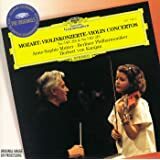 This is such a busy orchestral work - as is the very heavy and thick orchestration of the Brahms Double Concerto with which it is sometimes coupled - you need a modern studio recording to get the best listening experience. In particular, Mark Zeltser the brilliant and under recorded pianist is featured within a fine trio of younger generation but fully established stars.